Who’s the Real Flight Risk? Why do people stay at your organization? Is it because they’re passionate about the work they do? Do they enjoy working with their colleagues and/or those you serve? Do they feel well-compensated and appreciated? Or is it for another reason? Some employees feel a sense of obligation to the owners, business, clients, or even a single manager who gave them the job and have invested in their career over time. If workers have not kept up with continuing education or evolving skills needed in their industries, their current skills may no longer hold value in today’s employment market. When employees build up a cushion of paid time off (PTO) and are given several more weeks each year, it’s very difficult to start over elsewhere. When someone has worked at the same place for a long time, they have tremendous institutional knowledge and know how to pull strings to accomplish what they want. Even if seasoned workers are not in an official position of authority, they often carry weight among their peers, which they don’t want to give up by leaving. Some workers don’t have enough confidence in their skills or value to look for another job, and those individuals often loathe the thought of interviewing due to the potential rejection. Some people just do not like change. They prefer to stay in their comfort zones doing their current jobs, and they don’t want to transition over to a new company, new role, new colleagues, new boss, new systems and new processes. Any chance you have a few employees on your team who appear to be more loyal than they truly are? It’s not a bad thing. They are dependable workers who get their jobs done with little supervision needed. But managers need to keep in mind that not everyone who stays is loyal to the organization or their managers. New hires don’t have the “golden handcuffs” seasoned employees do, and most new hires have the confidence and courage to change jobs, or they would have stayed put. Do you have a plan for the workforce transition? And do you know the parties involved? Workforce thought leader, speaker and author Cara Silletto, MBA, is the president and chief retention officer of Crescendo Strategies, a firm committed to reducing unnecessary employee turnover. 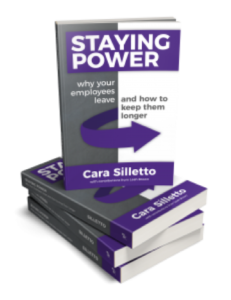 Her 2018 book, Staying Power: Why Your Employees Leave & How to Keep Them Longer, helps employers better understand today’s new workforce and improve employee retention. Want to read more and learn how to keep your staff longer? Get your copy of Staying Power now – available on Amazon here. Employee turnover is running rampant in most organizations today. As retention experts, we continue to compile effective strategies for reducing turnover. Here’s a list of suggestions to consider in order to become a more attractive, or M.A.G.N.E.T., employer. Ensure new hires feel welcome on day one with signage, lunch, welcome bags, favorite snacks, etc. Keynote speaker, workforce thought leader, and an “entitled” Millennial herself, Cara Silletto, MBA, works with leaders in healthcare and beyond to understand the impact of the shifting workforce and reduce unnecessary employee turnover. Visit www.crescendostrategies.com for more info or contact her at cara@crescendostrategies.com. Your call center employees are very often the first employees your customers interact with. They are problem solvers, and they are the keys to driving innovation, knowledge, and revenue throughout your organization. Call center employees also spend a lot of time talking to customers who are less than happy. The rigors of this work can lead to increased employee frustration and disengagement. A disengaged workforce can cripple your contact center’s ability to provide quality customer service and will ultimately raise recruiting and staffing costs which will impact your bottom line. The employees who fall into the disengaged category are at risk of fleeing your contact center and bringing others with them. Both disengagement and turnover have been historically difficult issues to tackle within contact centers. According to Contact Babel’s 2017 study on U.S. contact centers, employee turnover at call centers is the highest it’s been since the recession — currently at 30%. Rates can reach as high as 70% at contact centers who outsource call center employees. Remember, a healthy turnover rate is about 10%. How can you inspire engagement at your organization? Check out seven ways to keep call center employees engaged. Appreciation is a fundamental human need, but it’s one largely ignored in the workplace. According to Gallup polls, only one in three workers in the U.S. strongly agree that they received recognition or praise for doing good work in the past seven days. The same study shows that employees who do not feel adequately recognized are twice as likely to say they’ll quit in the next year. Recognition in the workplace confirms your employee’s presence —and work —is valued by others. As a result, recognition keeps your employees motivated and engaged, which elevates productivity. 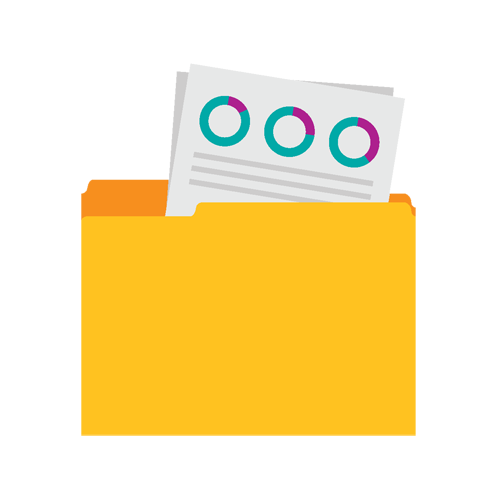 A great way to gather employee feedback is through pulse surveys. Surveys drill down on how your employees feel about their working situation and your organization. For example, pulse survey allow you to ask more granular questions about what you could be doing better, or how you can support your team more. 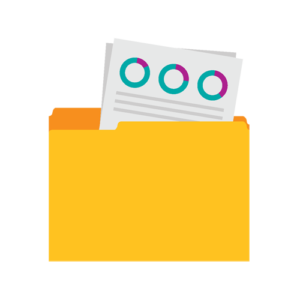 With surveys, you’re able to analyze employee feedback and then implement changes that show your team you are listening to them. Change connected to feedback is a great way to keep valuable call center employees engaged and happy in the workplace. It’s never too late to start leveraging employee surveys and feedback tools to gauge employee engagement levels, and take immediate action to address any disengagement right away. One of the major themes at the 2018 Contact Center Week (CCW) Executive Exchange was the importance of decreasing the average speed of answer (ASA) times at contact centers. Shortening ASA improves both the quality of customer service as well as your call center employees’ overall perception of their job. Callers stuck in waiting queues for long periods of time may be irritated, annoyed, or emotional when their call is finally answered. These emotions are naturally pushed to the agent who answers the call. The more stress your employees absorb, the more likely they are to become disengaged from work— a high volume of stressful calls is taxing on your staff. Further, Michael Tremblay of Air Canada claims 85% of contact at call centers is considered “bad contact,” according to his discourse at CCW. Taking steps to decrease ASA times can help soften the tone of a call, which ultimately protects your employees from excessive stress, and improves the atmosphere of their job. Employees who churn after 90 days or less from their hire date are a common problem in the contact center industry. When a contact center is plagued by 90-day turnover issues, it automatically decreases the average agent competency in an organization. With so many ‘learners’ on staff, it is difficult to provide quality customer service. Agents who have more on-the-job experience have more skills to complete their jobs better. Specifically, tenured employees are more likely to have higher first call resolution rates (FCR). Favorable FCRs create a better experience for the customer and decrease the volume of follow-up calls that burden your workforce. A staff with more positive than negative experiences is a happy staff. And, happy employees will stay with your organization longer. If attrition is high at your organization, you may be placing massive stress on call center employees who remain loyal to your team. These staffing gaps can quickly run down employees who are weighed down by additional responsibilities. Overbooking or spreading your employees too thin leads to resentment, increasing both attrition and absence rates, which is often a telltale sign of disengagement. The average absence rate at contact centers is currently 9.1%. If you notice an uptick in absenteeism, it’s time to act quickly to re-engage your staff. Personal finance issues can cause distractions that create disengagement from the workplace. According to PricewaterhouseCoopers, one-third of all employees are distracted by personal financial issues while at work. Nearly 50% of employees with financial stress spend three hours or more each week handling personal finances at work. From a revenue standpoint, this distraction can cost employers $7,000 per employee, per year or about 20 hours of lost productivity each month, per employee. Many organizations recognize the issues financial stress can cause, and have begun to unroll wellness programs which provide multiple benefits to workers and the corporation alike. The current job market is the employee’s market. Thanks to a record low unemployment rate and a plethora of job openings, your employees are always looking for the next best thing. And while monthly bonuses and incentives are a useful strategy for attracting talent, they aren’t always the key to continuous engagement. Find unique benefits that your staff will continue to find useful over their time with your company — something that differentiates you from the crowd. A growing trend, perpetuated by major contact centers like DialAmerica and CaLLogix is on-demand pay. Offering on-demand payments means your employees have access to their earned but unpaid wages at the click of a button; no more waiting for their next paycheck. It is a great way to reward your employees for the work they’ve already done, and provide them with something valuable as a perk— their money, faster. Daily pay benefits are proven to reduce turnover and absenteeism while simultaneously boosting engagement. 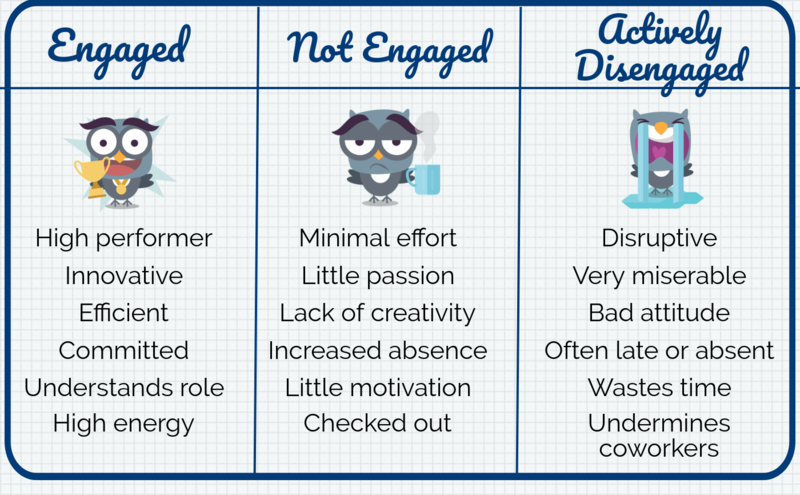 By focusing on employee engagement, you can keep your employees from burning out and turning over. After all, the highest level of growth in an organization occurs when companies have highly engaged staff. Megan Wells is a writer for DailyPay, a data journalist, and content strategist based in San Francisco, California. Wells’ work has appeared on Fox, Nasdaq, MSN, Motley Fool, and more. Wells also spoke at the 2015 Exceptional Women In Publishing conference. When you hire a new employee, that person is already looking for a new job and at risk of quitting. That rather dire warning is offered by Dan Schawbel, research director at Future Workplace and one of Forbes’ “30 under 30” list. Schawbel cites a study by his company showing that one-third of American workers are at the risk of quitting and looking to change their jobs within the next six months. Employee turnover, he points out, “costs companies a fortune,” and the numbers agree: Losing an employee in the first year of their tenure can cost your company up to three times the person’s annual salary. Clearly, employee retention is a top priority for every organization and it’s HR’s duty to build a strategy that can prevent employees from quitting. Here are four HR best practices to strengthen work culture and protect your company from the high cost of worker churn. As Schawbel investigated the underlying causes for employee attrition, he found a major perception gap between management and workers when it came to a training and development. Sixty percent of managers reported that they provide their employees with a clear path for advancing their careers, while only 36 percent of workers felt that this was true. This discrepancy needs your attention, because you ignore it at your peril: Employees (especially the highly talented ones you’d most like to retain) have more power than they once did, because their skills are in demand. Schawbel’s study found that 41 percent of employees say that they would leave their present companies if they found a position that offered better career advancement. These numbers suggest that there is more to this equation than simply providing opportunities for training and development. That’s the first step, of course: A study of 4,300 workers found that 74 percent don’t feel that they’re achieving their full potential in their current position, and only 12 percent feel that the training they did receive is actually applicable to their job duties. Along with offering appropriate pathways for your workers to develop their skills, you should ask for frequent feedback to make sure that these opportunities are perceived as being relevant and useful. Thirty-nine percent of employees state that a negative balance between work obligations and the rest of their lives constituted a “major pain point” in their careers. These statistics are highlighted by Rich Hein, senior managing editor of CIO Magazine. He points out that the average tenure for an IT worker these days is less than four years, and an unmanageable set of work demands is one of the main culprits for this high turnover rate. While you can’t necessarily relieve each employee’s outside personal challenges, Hein points out that your organization will benefit by offering flexible hours or telecommuting options. Multiple studies reflect the fact that providing flexibility to employees results in fewer sick hours, greater employee happiness, higher productivity and less stress. It’s an old truism that people don’t quit jobs — they quit bosses. Even if you’re well aware of this basic human resources principle, it never hurts to be reminded that your management-level staff are key to retaining your workforce. “One manager with poor people skills can do damage to the culture and effectiveness of a company in a short period of time,” points out Maricopa County CIO David Stevens. Too often, people with outstanding technical know-how are promoted to leadership positions, where an entirely different skillset is needed. Fortunately, management training and coaching can be highly effective, and can enable your middle management staff to perform at their full potential. Productivity consultant Laura Vanderkam adds an interesting twist to this standard advice. She points out that a manager may feel attached to keeping a “rockstar employee” in his or her department, and may be reluctant to provide development training that would advance the person’s career. For this reason, Vanderkam encourages executives and HR specialists to specifically reward managers who successfully move their outstanding employees forward into different departments. The manager’s individual loss will be the organization’s gain, as employee alignment will be strengthened by new career opportunities. Wayfair CEO Niraj Shah identifies employee rewards and recognition as one of his three key ways for retaining employees. He acknowledges how easy it is for busy managers to put employee retention “on the back burner,” and he finds that continuous positive feedback is his go-to method of letting employees know how valuable they are to the company. There’s an art to employee recognition best practices, however: It’s important to provide feedback on an ongoing basis, but workplace expert Lynn Taylor points out that it can’t be “robotic.” Your appreciation needs to be authentic and varied, delivered in a variety of forms. To keep a sense of freshness present in your appreciation, you can change up the channels: Providing your workers with a chance to recognize and praise each other’s contributions will nurture teamwork. Similarly, you may sometimes recognize the unified efforts of a whole team or department, so that it’s clear that everyone benefits from strong employee alignment. You invest significant resources into recruiting and hiring. Once you’ve onboarded those top-notch employees, however, your HR challenge is only beginning. Lynn Taylor reminds managers, “Retaining the best and brightest is what ultimately matters. The most innovative and successful companies today [have] taken retention efforts to an advanced level.” To learn more about the current retention epidemic and how to prevent your employees from quitting, check out our latest report highlighting key findings from a survey taken by 1,724 employees across the U.S., Canada, UK, and Australia. How would you prevent an employee from quitting? Share your comments below. For years, it’s been common knowledge that employees leave managers, not companies. But a new infographic from Glassdoor disagrees: according to their research, only 8 percent of employees attribute their departure to their managers. Far more common reasons were lack of career growth (33 percent), salary and compensation (27 percent), company culture (15 percent), work/life balance (14 percent), work environment (12 percent), and overall company performance (11 percent). So why does conventional wisdom maintain that managers are the cause? The most-cited study on manager-driven turnover is the 1999 book, First, Break All the Rules: What the World’s Greatest Managers Do Differently, which is based on 25 years of research by the Gallup Organization. But that report is 14 years old now; surely there’s more recent information than that?